How should we write the history of subcultures and their music? How do we write about current subcultures and musics? What theories or perspectives should we adopt? What sources can we use and how do we apply them? Who is able to write them? Did – and do – you have to have been there? This international conference will analyse the problems and possibilities of writing on subcultures and their music. It will bring together academics, journalists and practitioners; it will be multidisciplinary and interdisciplinary. It will be designed to facilitate conversations between historians, sociologists and musicologists, between cultural studies and political science, between performers and commentators, between journalists, writers and academics. Panel proposals should include a general abstract and brief account of papers to be included (600 words in total), together with brief biographies and contact details. The conference fee will be £100, comprising lunch, refreshments and admin. Plans to give concessions to unwaged/students/PhDs are on-going. Accommodation can be booked for £61 per night. Registration information will be disseminated once the conference programme has been put in place. This is the text of a paper I gave last week at the 22nd Australasian Irish Studies Conference held at Flinders University. It is my first foray into a very contentious issue (see this discussion between Anthony Coughlan and Matt Treacy) so I would be grateful for any feedback, but please be kind! The CPGB had a substantial Irish membership and had close links to the communist movement in Ireland. Although this was, at times, a strained relationship at times, with the Irish Communists often feeling that their sister party overshadowed them, and in the eyes of Moscow, had to often defer to the leadership of the CPGB. With the Irish Communists going through several different organisations in the inter-war period, the Communist Party of Ireland (CPI) came into being in 1933, ‘Bolshevised’, but still wavering between advocating a broad anti-colonialist front against the British and a more united front against the British and ‘their Irish agents, Cosgrave [and] De Valera’. 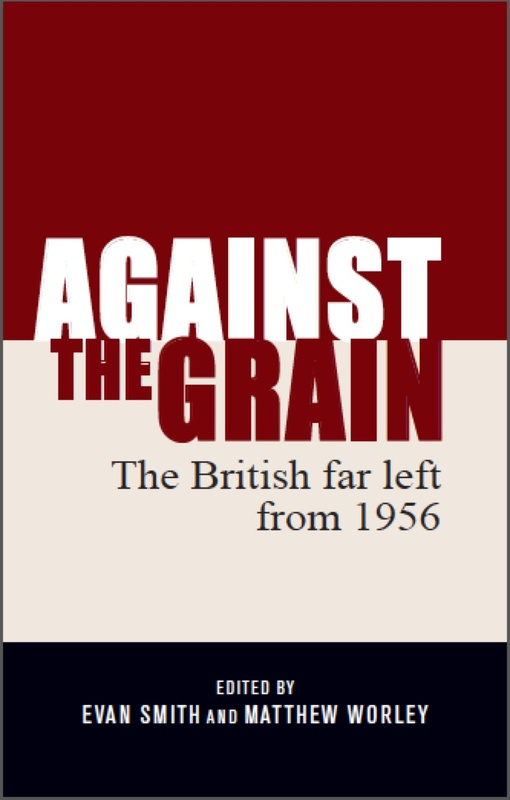 The CPI and its previous incarnations had attempted to win over left-leaning Republicans from Soar Éire and the IRA (although dual membership had been banned until 1933), but the IRA was deeply divided over left-wing Republicanism as evidenced at its 1934 conference. 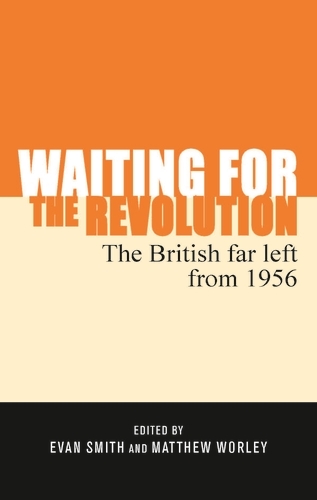 In response to this, the CPGB, in the journal Labour Monthly, criticised the ‘petty-bourgeois leadership’ of the IRA as ‘unwilling to conduct a fight’ against the De Valera government. However as the 1930s progressed, the British party recognised the IRA as part of a broad anti-fascist Popular Front during the late 1930s, particularly as a number of former IRA men went to fight in the Spanish Civil War. Compared to its British counterpart, the CPI remained numerically very small during the Popular Front period and during the ‘imperialist war’ phase of the Second World War, resolved to dissolve itself, in line with dominant attitudes towards Irish neutrality in the country at the time. A remnant of the party still existed in the six counties as the Communist Party of Northern Ireland (CPNI), which existed until 1970, while the CPI was reconstituted as the Irish Workers League in the Irish Free State in 1948, becoming the Irish Workers Party in 1962 and finally merging back into the CPI (including the CPNI) in 1970. (a) Winning majority support for them in the organised working class and democratic movement in Britain. (f) Co-operating with other organisations in matters of common concern and affiliating to or accepting affiliation from appropriate bodies as may be decided. Although individual CA (and CPGB) members had links to the IRA, particularly through the Wolfe Tone Society, the only two organisations that the CA affiliated with were two organisations that the CPGB had links to, the National Council for Civil Liberties (NCCL) and the Movement for Colonial Freedom (MCF). National Liberation or Peaceful Devolution? In the era of decolonisation that followed the Second World War, the CPGB believed that the Irish Free State would gain full independence similar to India, Pakistan and Sri Lanka (which did occur in 1949), but also accepted the idea that British rule in Northern Ireland was a form of neo-colonialism to be challenged by the Northern Irish population (especially the labour movement). In 1958, Greaves described the partition of Ireland as ‘a political arrangement designed to create and perpetuate precisely what has happened – to facilitate the expropriation of Irish capitalists by British financers, instead of by Irish workers’. In the same year, John Hostettler suggested that Northern Ireland existed in the liminal space between a colony and part of the United Kingdom, with practices by the British having ‘the same pattern in the colonies’, but also ‘so near home’ that government and policing practices could be transferred to British sphere. Our policy is aimed to bring about a strong united labour movement which, in alliance with the working farmers and progressive forces, will provide the country with a Government which can direct it along the path of advance to socialism. The withdrawal of British troops from Northern Ireland is necessary to end the enforced partition of Ireland, and leave the Irish people free to establish their united Republic. Speaking on the national question in Marxism Today in 1968, leading Welsh Party member Idris Cox wrote ‘Northern Ireland would have no part as such in a British federal system’ as envisaged by the CPGB at that time. However Greaves, with his focus on Ireland, was one of the few in the late 1960s in favour of full self-determination for Scotland and Wales, as well as the break-up of the United Kingdom. Supporting the push for civil rights for the Catholic population in Northern Ireland, as well as an end to the ‘police state’ present in the North, the Party was sympathetic to the Northern Ireland Civil Rights Association (NICRA), which included people from the Communist Party of Northern Ireland and the Wolfe Tone Society. After a series of civil rights marches were attacked by the police and Loyalist gangs in August 1968, Labour Monthly (edited by long-time CPGB figure R. Palme Dutt) published an account of these attacks by NICRA and CPNI member Betty Sinclair. The relationship with Sinn Fein and the IRA, despite some links between them, the Wolfe Tone Society and the Connolly Association, was much more fractious for most of the 1960s. In a bulletin published by the CPGB’s International Department in 1968, the Party wrote that Sinn Fein’s United Irishman newspaper ‘increasingly reflects the interests of petit-bourgeoisie and small independent capitalists’, but welcomed the leftwards turn that Sinn Fein had taken in the mid-1960s. Even the Connolly Association asserted in July 1966 that it favoured ‘the political strength of the working class movement’ to the ‘power of the gun’ proposed by Seamus Costello, at that time a leading figure in the IRA. We would suggest that the protégés of the Connolly Association… return to the orbit of the British Communist Party, and keep their cotton-picking-fingers [sic] out of our business. It also had harsh words for the CPGB, doubting its revolutionary character and describing it as ‘nothing more than the “servant boy” of British imperial interests’. The outbreak of the conflict in 1968 and the arrival of British troops in Derry in 1969 changed the outlook of the British left towards what was happening in Northern Ireland and the wider ‘Irish Question’. The CPGB continued to call for mass movement to fight for civil rights in the north and against the British presence in the statelet, while some Trotskyist groups, such as the International Marxist Group and the International Socialists, ‘critically’ supported the Provisional IRA after the split within the Irish Republican movement in 1969-70. Like many other social movements that the CPGB was involved in, the Party had been at the forefront of building solidarity between the British and Irish labour movements for the purpose of a reunited Ireland, but was slowly overtaken by more radical groups in the late 1960s and throughout the 1970s. V.I. Lenin, ‘The Right of Nations to Self-Determination’, Marxists Internet Archive, https://www.marxists.org/archive/lenin/works/1914/self-det/ch08.htm (accessed 6 January, 2015). Letter of Anglo-American Secretariat to Ireland RE: elections (7 January, 1932), Comintern Archives, RGASPI 495/89/75/1. As cited in, David Convery, ‘Internationalism or Paternalism? 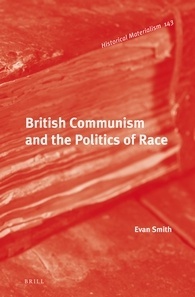 Relations Between British and Irish Communists, 1920-1941’ (forthcoming). Jim Shields, ‘The Republican Congress and Ireland’s Fight’, Labour Monthly (November 1934) p. 687. David Convery, ‘Revolutionary Internationalists: Irish Emigrants in the Spanish Civil War’, in Mícheál Ó hAodha & Máirtín Ó Catháin, New Perspectives on the Irish Abroad: The Silent People? (Lanham, MA: Lexington Books 2014) pp. 131-144. Kevin Morgan, Gidon Cohen & Andrew Flinn, Communists and British Society 1920-1991 (London: Rivers Oram Press, 2007) p. 201. Connolly Association, What is the Connolly Association? Constitution and Explanation (Derby: Connolly Association, 1963) p. 1. Connolly Association, What is the Connolly Association?, p. 2. Kenneth Sheehy, ‘In the Shadow of Gunmen: The Wolfe Tone Society, 1963-1969’, unpublished paper, https://www.academia.edu/8441579/In_the_Shadow_of_Gunmen_The_Wolfe_Tone_Society_1963-1969 (accessed 30 November, 2016). Connolly Association, What is the Connolly Association?, p. 14. The CPGB had close relationships with both the NCCL and the MCF, with some Party members holding leadership positions in both organisations. See: Christopher Moores, ‘From Civil Liberties to Human Rights? 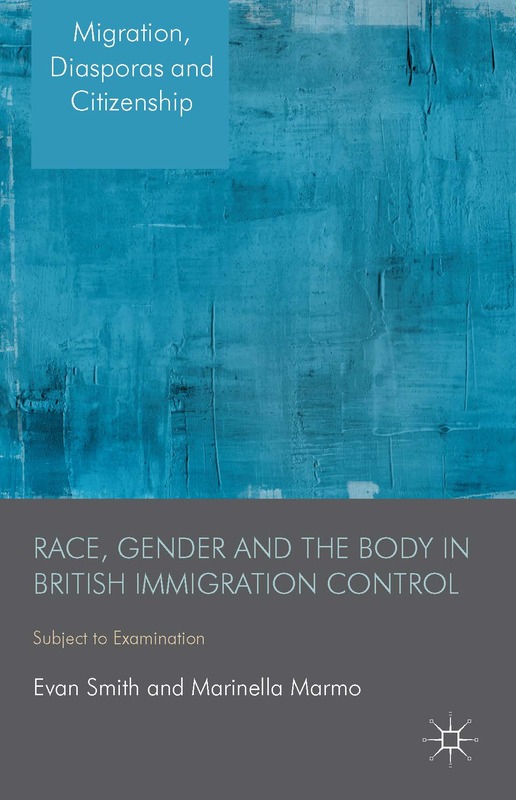 British Civil Liberties Activism and Universal Human Rights’, Contemporary European History, 21/2 (May 2012) pp. 179-181; Josiah Brownell, ‘The Taint of Communism: The Movement for Colonial Freedom, the Labour Party, and the Communist Party of Great Britain, 1954-70’, Canadian Journal of History, Autumn 2007, pp. 235-258. C. Desmond Greaves, ‘What of Northern Ireland?’, World News (12 July, 1958) p. 438. John Hostettler, ‘Northern Ireland’, Marxism Today (November 1958) p. 332. W. McCullough, ‘Ireland’, in CPGB, We Speak for Freedom (London: CPGB pamphlet, 1947) p. 60. CPGB, The British Road to Socialism (London: CPGB pamphlet, 1958) p. 24. Idris Cox, ‘The National Problem in Britain’, Marxism Today (June 1968) p. 191. Desmond Greaves, ‘The National Problem in Britain’, Marxism Today (October 1968) p. 312. Betty Sinclair, ‘Aftermath of Derry’, Labour Monthly (December 1968) pp. 555-559. CPGB International Department, International Affairs Bulletin: Ireland, 3/1 (May/June 1968) p. 8. ‘Force or Agreement?’, Irish Democrat (July 1966) p. 3. Paddy Mac, ‘The Neo-Parnellites: Irish Democrat Flies True Colours’, An Phoblacht, 7 (September 1966) p. 11. ‘The Yahoos and An Phoblacht’, An Phoblacht, 8 (November/December 1966) p. 7. ‘Wolfe Tone Society Exposed’, An Phoblacht, 9 (January 1967) p. 8. Monash would like to invite you to the XXVth Conference of the Australasian Association for European History, to be held at Monash University’s Caulfield Campus in Melbourne. Professor of International History, ARC Kathleen Fitzpatrick Laureate Fellow, Fellow of the Australian Academy of the Humanities. This is a call for papers for a conference organised by my colleague Andrekos Varnava. It looks exciting. Hopefully see you all there! The School of History and International Relations, Flinders University, and the other sponsors of this meeting, invite abstracts for the first ‘Eric Richards Symposium in British and Australasian History’, to be held in Adelaide from Tuesday 31 January – Friday 3 February 2017. Emeritus Professor Eric Richards was a Professor of History at Flinders University for over 35 years, specialising in British and Australian social history, and specifically on Scottish history and British and Australian immigration history. The ‘Eric Richards Symposium in British and Australasian History’ aims to honour Professor Richards, who remains active as an Emeritus Professor at Flinders University, and to create a regular conference for scholars in Australasia working on British and Australasian history broadly defined (i.e. British history includes imperial/colonial history) for the ‘British and Australasian History Network’. Cultural reflection, formation, creation and deception. A registration fee will apply, but this has been kept to a minimum. The deadline for paying registration fees is 5 December 2016. We envisage several publications to arise out of the symposium. The organisers will be looking at publishing at least one edited volume and one special issue journal. Participants will be approached soon after the conference. Also we encourage participants to take the initiative (so long as the symposium and organisers are acknowledged) to publish collected works. A 200-word abstract and a short biography of about 100 words (all in one word file) should be sent to Dr Andrekos Varnava (andrekos.varnava@flinders.edu.au) by 25 July 2016. Download a PDF version of this CFP here.